Sping! 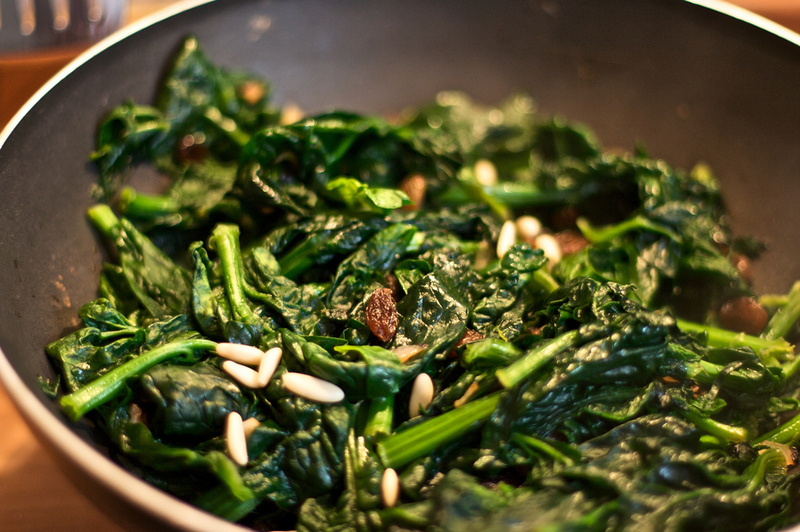 Fresh spinach! Wash them, very well. Drain. Heat 1 tbs of olive oil in a big pan, add 1 garlic clove. Add spinach, cover. After 5 minutes add raisins and pine nuts. Cover. Cook for 5-10 minutes max, until volume is half of the original. Serve.